5. Meeting with the working group of the European program I.G.N.I.S. 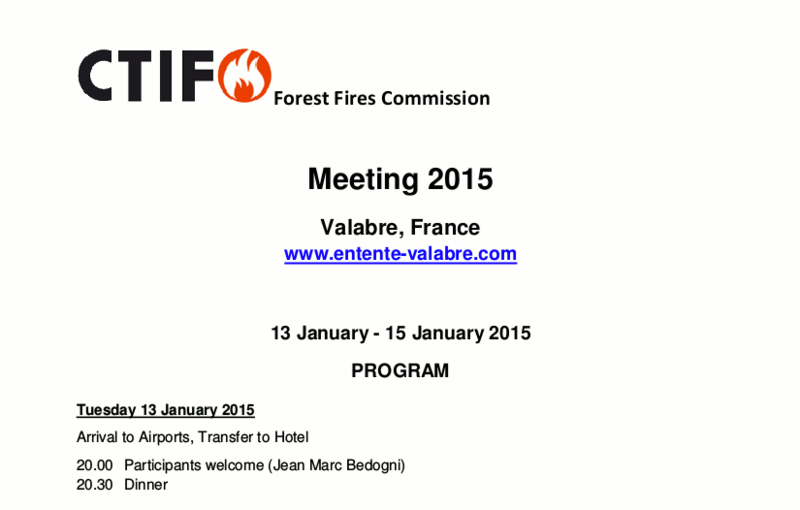 (Initiative for Global maNagement of bIg fires through Simulation). The meeting will begin on May 23rd around 19:00 with a diner in Valabre and will end on May 24th around 16:30. The purpose of this meeting is to define together the objectives and organization of this Commission. In particular it should be designated the Chairman of the Commission and shall be developed the issues upon which put the emphasis in the coming years. For any information contact the following addresses.